Red-light cameras in Atlanta have been peering at motorists for quite some time now. Motorists who are busted at these intersections will receive a violation in the mail for $70 per ticket for running red lights at intersections with cameras. The fines are still considered civil penalties and will not put points on your license or cause insurance hikes, according to The City of Atlanta Online. Some believe the tickets are deterrents and help prevent intersection car accidents in Atlanta. 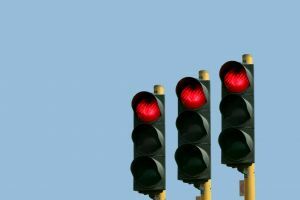 Nearly 70 percent of drivers in 14 big U.S. cities support their local red-light camera programs, according to a survey from the Insurance Institute for Highway Safety (IIHS). The Institute also conducted a study that discovered that these red-light cameras have reduced the rate of fatal red light running crashes by nearly 25 percent in these cities. Our Georgia car accident attorneys understand the risks of intersection crashes -- particularly those caused by red-light runners. Through the IISH survey, roughly 90 percent of surveyed drivers agree that running a red light is completely unacceptable. More than 8 of 10 deem it a serious threat to personal safety. Nearly 70 percent of surveyed individuals favor red light cameras, and more than 40 percent strongly favor them. Atlanta red-light tickets are delivered through the mail and are accompanied by a photograph of the car crossing the stop line, with the tag in full view. The ticket also provides information regarding the address of a website that you can access to view the photograph. City officials continue to stress that the purpose of these cameras is to make our intersections safer by reducing red-light running crashes. In 2002, approximately 207,000 accidents resulted in 178,000 injuries and 921 fatalities in the U.S. because of red light running. Public cost for these accidents was more than $14 billion per year. More than half of the fatalities from these red-light running accidents were innocent motorists and pedestrians. "Most drivers don't buy the argument that it's somehow wrong to enforce the law just because you're using a camera to do it," says Anne McCartt, the Institute's senior vice president for research. "They understand that this technology is preventing crashes in their cities." The legislative basis for the red light camera program is House Bill 678. This bill was passed back in 2001 by the Georgia General Assembly. Proceeds collected from fines for speeding through these intersections go to support the operation of the program. -26 percent said cameras can make mistakes. -26 said because they believe the cameras are about money, not safety. -19 percent said they make roads less safe and lead to more crashes. -17 percent argued that they're an invasion of privacy. A number of studies have proven that these intersection eyes in the sky do their job properly and decrease the number of accidents in these areas. Motorists are still asked to abide by general road rules and regulations even when a camera is not watching.